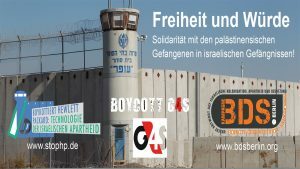 BDS Berlin hat einen offenen Brief gegen das geplante Freihandelsabkommen TTIP zwischen der EU und den USA mitunterzeichnet. Im Herbst 2015 tritt die Auseinandersetzung um das Handels- und Investitionsabkommen in die heiße Phase. Das Abkommen droht Demokratie und Rechtsstaatlichkeit zu untergraben und auszuhebeln. 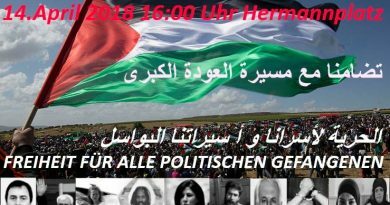 das Recht auf freie politische Meinungsäußerung einzuschränken und Kampagnen in Solidarität mit dem Kampf des palästinensischen Volkes für Freiheit, Gerechtigkeit und Gleichheit zu blockieren. We, the undersigned, oppose the dangerous Transatlantic Trade and Investment Partnership (TTIP) negotiations and the related attempts by some US politicians to use the TTIP process to restrict freedom of political expression and campaigning in solidarity with the Palestinian people’s struggle for freedom, justice and equality. undermine measures to protect the environment. negotiations, and the proposed Investor State Dispute Settlement (ISDS) mechanism, which would allow multinational corporations to sue governments in a parallel judicial system available to them alone. 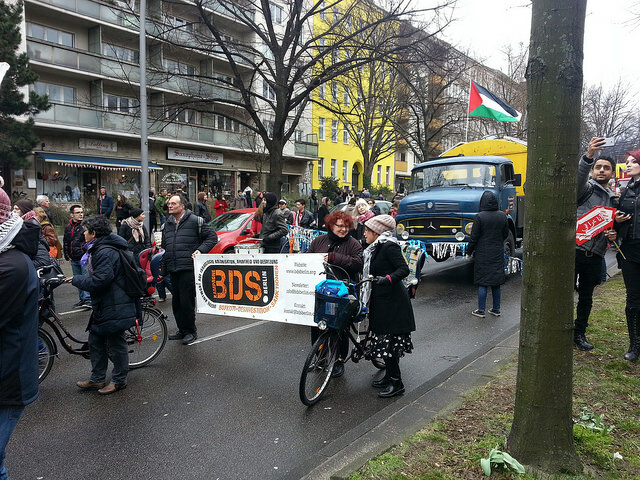 As organisations opposed to any EU-US trade treaty that does not serve the public interest, we are gravely concerned at the recent introduction of US legislation that seeks to use TTIP to block human rights actions in solidarity with the Palestinian people. settlements to be illegal under international law. guidelines preventing EU public funds from being awarded to such settlements. infrastructure of Israel’s occupation of Palestinian land. legislative attempt to silence these expressions of solidarity.